It will come as no surprise that the North American sports market is expected to reach $73.5 billion by 2019. Gate revenues, television rights, and sponsorships are the main driving force behind the sector growth and the key component underpinning all facets of sports media is technology. Technology has had a colossal impact on the world of sports in recent years. Most fans will be familiar with Hawk-Eye, the line review system used in tennis. There’s also the instant replay challenge system brought into Major league baseball in 2014. What is less known, however, is the way contactless technologies like Radio Frequency Identification (RFID) are being used for live sports events. Here we explain 14 RFID applications that sports event managers, sports-tech companies and brand agencies can utilize for game-changing results. RFID can help reduce friction when entering an event. Fans don’t have to carry paper tickets, input information, or even carry cash; it can all be done with the tap of a wrist. This also helps fraud prevention; each wristband is embedded with its own unique code, making it very hard to counterfeit. If fraudulent behavior is suspected, or even if someone loses their band, it can be canceled at the click of a button and a new one administered. Game Day is everything to super-fans with season passes and memberships, and corporations want them to feel part of the team. RFID technology is the perfect way to make this happen. 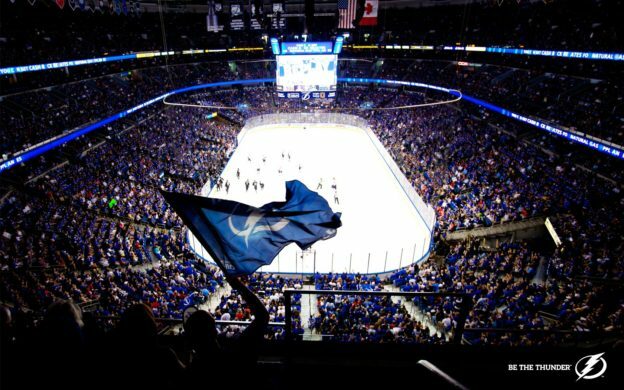 Perhaps, like the Tampa Bay Lightning hockey team, you want to gift fans with team jerseys fitted with RFID technology, giving them a unique way for season pass holders to enter events and feel special at the same time. RFID chips can be embedded in almost anything! People spend a lot of time and money on suites for their favorite teams, ensuring they never miss seeing the game in total comfort. It is vital to add the right finishing touches to make this experience special; allowing Corporate Suite wristbands or clothing to unlock the door not only elevates the VIP experience, but it cuts down on the costs of staff needed to monitor entry. People don’t always like holding onto a lot of cash at big events, and RFID technology has the solution to this problem. Stored with credit card information, it can be used to make cashless payments giving fans a sense of freedom to enjoy their day worry-free, it is also known to increase spending habits due to cash not being physically exchanged between the customers and vendors. Corporations can utilise the payment data to send special offers and discounts to fans (by text or email) at the right time and the right place, increasing up-sell opportunities. Being able to give your members special privileges elevates the whole VIP experience. With a tap of a wristband, you can give VIPs access to exclusive areas and provide them with perks such as free drinks tokens embedded in their bracelets. What better place than game day to encourage people to ‘play more’? Back in 2014, the UEFA Champions League Festival in London was one of Europe’s biggest ever social media activations. Powered by Intellitix, 30,000 event goers ‘joined the game’ and used RFID cards supplied by ID&C to engage with UEFA’s sponsor brands and interact with games to win big prizes. Eleven Skill Stations around the event allowed people to compete to win a spot at the top of the leaderboard, while photos were posted across social media channels with event sponsor and partner branding. The results saw 85,000 RFID activations onsite and 45m+ page impressions online. Photobooth stations enabled with RFID technology are a great way for fans to rally support for their teams and post them on their social media channels. You can create a connected experience for your fans to feel part of the action while they’re at the game, and share these memories, creating a strong brand affinity and giving you great engagement stats online. It can be really hard to get fans to engage with sponsors, encouraging them to take the time at a game or event to hand over their personal data is always a challenge. RFID technology does it all for you so that you can create an instant buzz by allowing attendees to enter instant competitions and opt-in to receive more information with just a tap of their wristband. This also gives you great data to negotiate sponsorship deals in the future. Long queues for drinks and waiting times while people search for their identification cards to prove their age are a thing of the past. When using RFID wristbands to carry personal data, bar staff no longer have to ask to see guests I.D. By storing basic personal data before an event to ‘okay’ whether a person is of legal age to drink ensures that the sale of alcohol stays safe and saves staff and guests time. RFID technology can also help you comply with liquor board on redemption and consumption laws. RFID wristbands can be pre-loaded with a specific number of drink vouchers per person, helping to control and comply. Race timers can now be made smaller than ever. Fitted into a wristband, clothing, shoes, or object, an RFID chip can be used to accurately collect data on speed, rest, and race times allowing racers, event holders and fans to keep an eye on personal bests and patterns. They can even be used to collect some cool data on the soccer field such as being able to track how far players move in the space of a game. Get fans involved in the action while at a game. Reward attendees with prizes for knowing the most about the sport, or their team, and rank the ultimate super-fans in a live leaderboard. Encouraging friendly competition, and a sense of team pride before or during games. 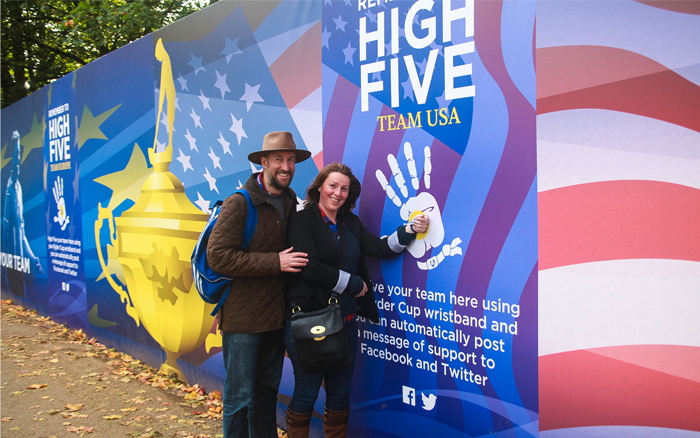 In 2014, we teamed up with the Ryder Cup and Intellitex to give out 100,000 RFID enabled wristbands, turning the 2014 Ryder Cup at Gleneagles into a contactless playground for sports fans. Fitted with 7 activation kiosks for brands including BMW and Sky Sports, tournament ticket-holders took part in activities including a ‘digital high-five’, a virtual ‘walk the course’ tour and a competition to win a stay at Gleneagles. Fans could tap their wristband and virtually ‘high-five’ the team of their choice, adding a personal message and rallying support. This increased engagement and impressions on social media and fans were more engaged to have ‘conversations’ about who they thought would win. 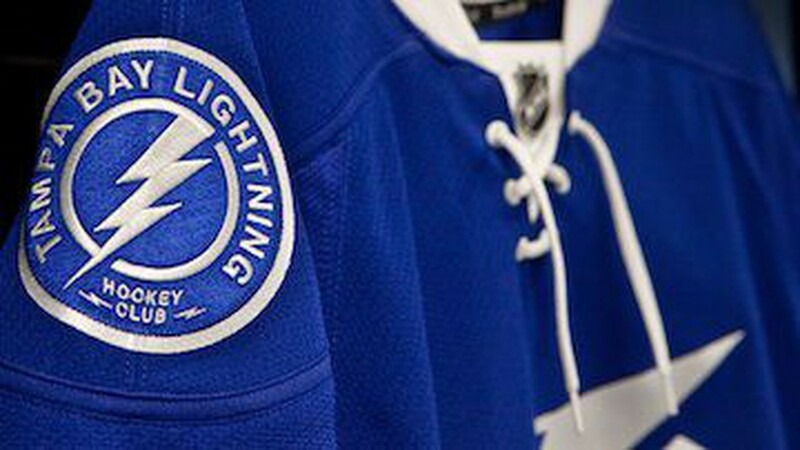 Back in 2011, the Tampa Bay Lightning Hockey team embedded RFID chips in replica team jerseys and gifted them to all of their season ticket holders. Instead of using paper tickets or wristbands, the super fans could gain entry by just wearing their jerseys. What’s more, the chips were loaded with personal data and credit card details, so that the season ticket holders could make purchases throughout the arena on food and merchandise. Not only did this light up the stands with their team colors, it also allowed the club to track every single purchase made and make the brand connection with fans much more personal and meaningful. We know that RFID technology holds data about ticket-holders but did you know that it can also collect data about them? They can store basic contact information, and allow guests to sign up for future marketing communications Giving you an understanding of what offers and promotions they’d be interested in. But let’s not forget the intelligent insights you can gather during a game, including where guests have checked in and what they’ve spent their money on. This invaluable data allows you to constantly flex and improve your offering, allowing you to be at the top of your game, every game. Everyone wants to arrive at the game with time to get seated, and let’s face it, get some snacks. Being held up in a parking lot is not a great start to the day. 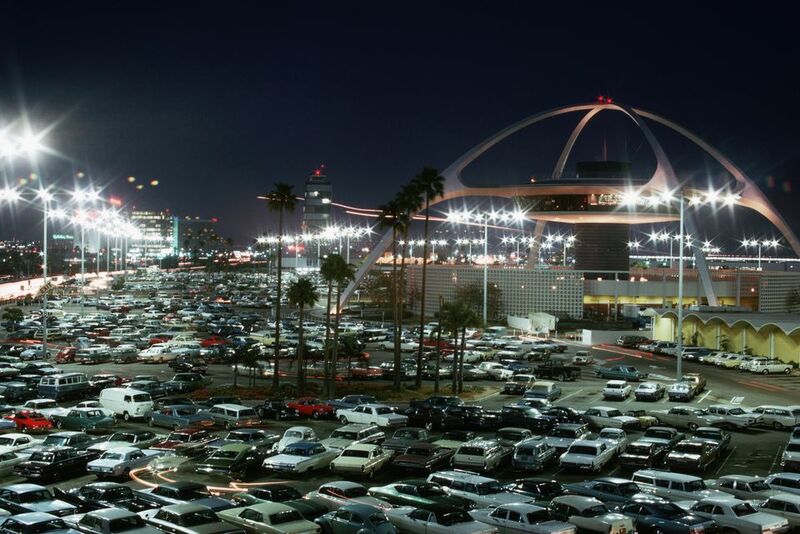 A well-run lot is an asset for any stadium or facility, and RFID technology can be used to streamline this process. It can be seamlessly integrated with fans wristbands so that by entering the area and driving through a scanner, their parking permit or payment is checked and they are allowed onsite. The digital reach that can be gained by using RFID technology in the live events and sports industry is huge. It’s all about creating a seamless entertainment experience for your guests. And the opportunity to create a connected ecosystem with fans, from their wristband to their favorite team and their favorite players is exciting, and we’re only just seeing the beginning of what is truly possible. This entry was posted in Event Security, Ideas, RFID on June 1, 2018 by idandc.